Top Franchise Websites - How do you Rank? 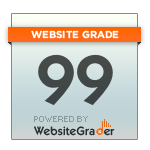 Hubspot provides a number of useful tools to evaluate a website, and I like their website grader tool. You can use their website grader tool to get information about a website, figure out what improvements you might want to make and rank your site against others. The tool is free, and it is good fun to see how Hubspot ranks you against other websites in your space. After all in the web the main metric is traffic, traffic and traffic. I thought it would be fun to compare the IAFD ranking against other websites in the same space. First up are BlueMauMau, the franchisee news site, and the International Franchisor Association's site. BMM scores a 99, which Hubspot claims to show that the website bluemaumau.org ranks 2,175 of the 2,600,529 websites that have been ranked so far. Well that is pretty good. Not surprising. What about the IFA's website?Hubspot ranks them as a 95, which means that the website franchise.org ranks 129,668 of the 2,600,529 websites that have been ranked so far. Part of the reason for the lower ranking is that the IFA doesn't have a blog, and the content is judged to be at the advanced or doctoral level. They get points for their twitter buzz, but lose for no RSS feeds. Next up are two of the largest independent franchisee associations, AAHOA and the 7-11 Coalition. Although the AAHOA website has had a makeover, it doesn't score that well - ranking 659,205 of the 2,600,529 websites that have been ranked so far. No blogs, no feeds, no twitter, and no signup hurt the AAHOA ranking. What about the 7-11 Coalition? It is doing better with an 83 score, but Hubspot thinks that there is a blog on the site, which I cannot find. The readability score is high school, which is reasonable for the web. There are RSS feeds, but no twitter account nor sign up forms could be found which lowers their overall score. And the IAFD, after 4 months on the web, how did we do? We scored a 97, and lost marks because we don't have a twitter account associated with the site, and don't have any social bookmarks. Things to change! But we are pleased that we outscored the IFA's website! Who do you want to rank?